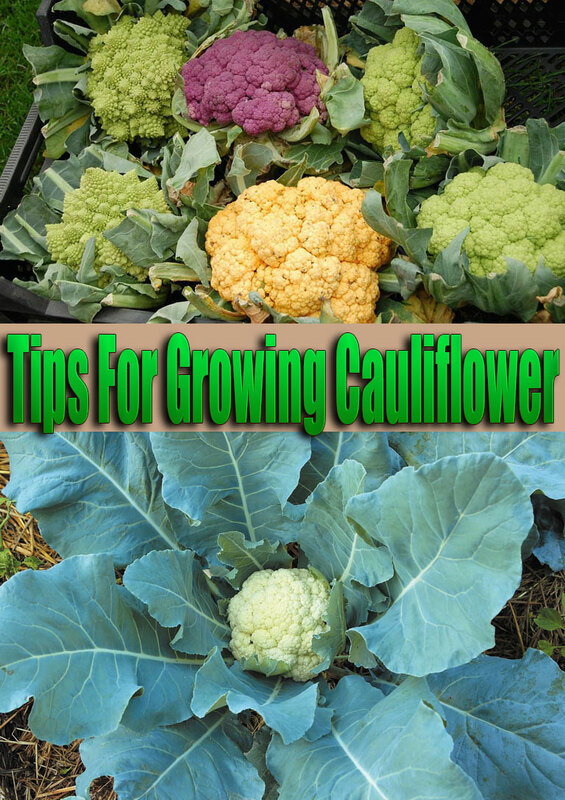 Many people are afraid to try growing cauliflower because they think it’s finicky, or that it’s a crop only experienced gardeners can have success with. While it is trickier to grow than some of the other cole crops, if you follow our suggestions you’ll be harvesting tender, mild-tasting heads of this delicious vegetable. Unlike broccoli, cauliflower produces only one head per plant, called the “curd.” The heads of most varieties need to be blanched for the best white color and flavor, although there are some that develop orange, green or purple heads that don’t need blanching and are a little easier to grow. To produce a good head of cauliflower, you need to keep in mind that stresses such as temperatures that are too high or low, or water or nutrient stress can lead to poorly formed heads. So it’s especially important to give cauliflower the best possible growing conditions. ‘Snow Crown’ and ‘Early Snowball’ are both popular strains of early cauliflower, reaching maturity in 50 to 60 days. Both are white, self-blanching types and are heat tolerant, so will do well in the South. ‘Purple Head’ is an unusual cauliflower variety that doesn’t need blanching. The head matures in 80 to 85 days, and it really is purple. It turns green when you cook it and is an interesting variety for freezing or pickling. Choose a spot in full sun, with rich soil and pH between 6.5 and 7.0. Prepare the garden bed by using a garden fork or tiller to loosen the soil to a depth of 12-15 inches, then mix in a 2 to 4 inch layer of compost. For a spring crop, start seeds indoors 5-6 weeks before the last expected spring frost; move hardened off seedlings to the garden 2 weeks before the last frost date. Start seeds for a fall crop about 75 days before the first expected fall frost, hardening them off to full sun exposure before planting in the garden. The ideal day time temperatures for cauliflower plants are in the 60s, so gardeners in many parts of the country may find it easiest to ripen a successful crop in the cool weather of fall. In mild winter areas (Zones 8-10), cauliflower can be grown for winter harvest. Space cauliflower plants about 18 inches apart in the row with 30 inches between rows to allow room for walking. Sow seeds ¼ to ½ inch deep and 2 inches apart in cell packs or flats or in individual pots. Mulch the soil around your cauliflower plants and be sure to keep it consistently moist. Floating row covers will help to exclude pests such as cabbage loopers, cabbageworms and flea beetles. Contact your local county Extension office for other control methods. When the developing heads are about the size of an egg, begin blanching cauliflower by gathering up the leaves loosely over the head, securing them closed with a rubber band or long twist tie. Be sure to leave enough room for the head to increase in size. This also provides some protection against light frost for fall crops. Harvest the heads when they are 6 inches or more across (some varieties develop larger heads), but before the curds of the head begin to separate, usually a week or two after the heads begin to form. Cut the heads away from the plant at their base with a 1-2 inch stem. Store cauliflower in a plastic bag in the refrigerator for a couple of weeks, although its flavor will be best and nutrients highest if eaten soon after harvesting. It also freezes well.